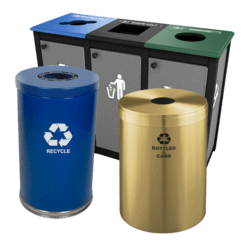 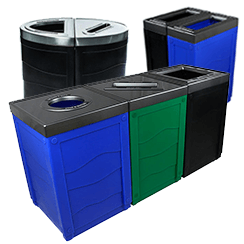 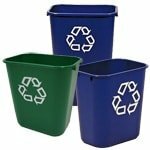 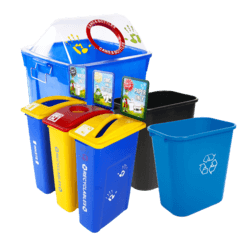 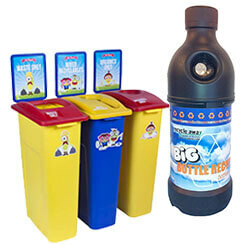 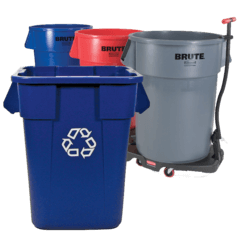 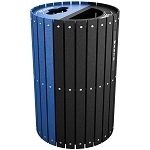 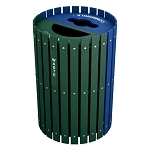 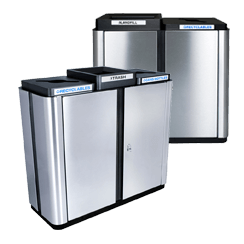 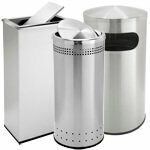 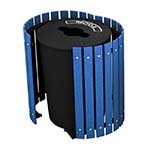 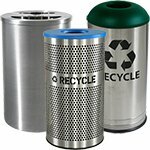 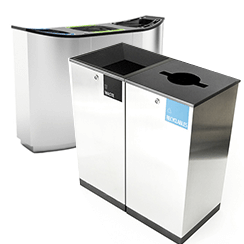 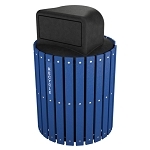 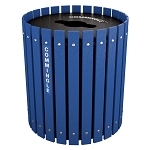 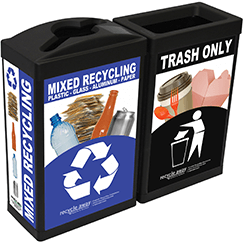 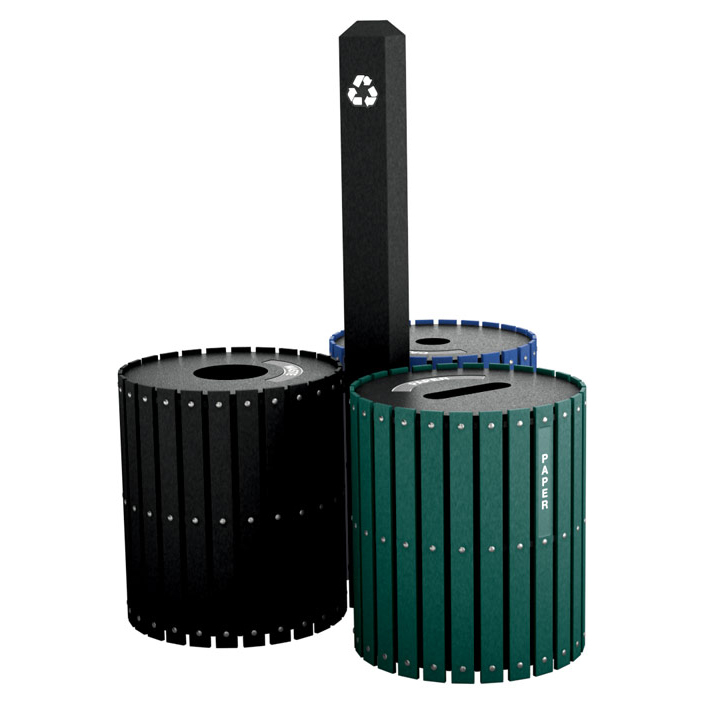 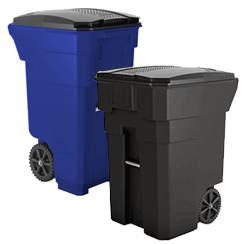 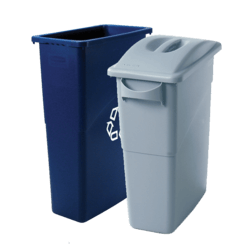 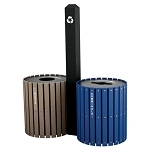 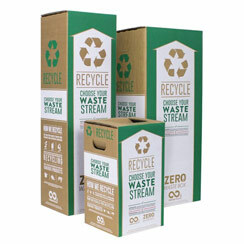 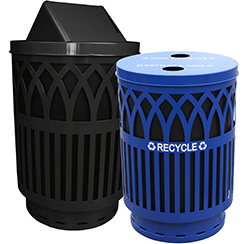 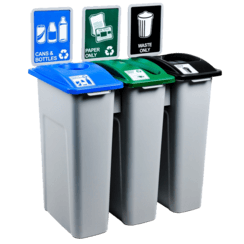 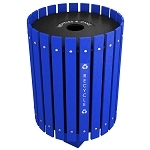 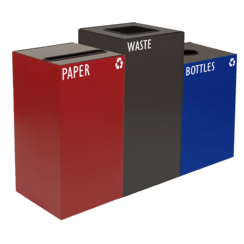 The Three-Stream Recycling and Waste Barrel Station with Sign Post is the perfect solution for creating an attractive recycling system for any indoor or outdoor settings. 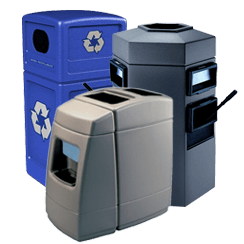 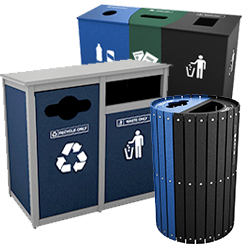 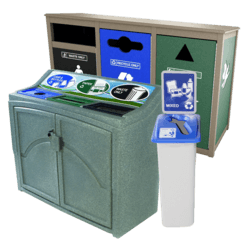 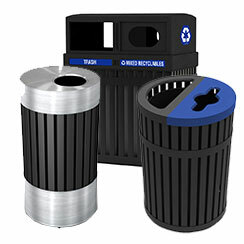 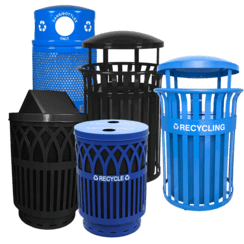 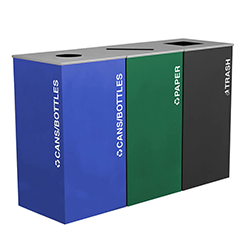 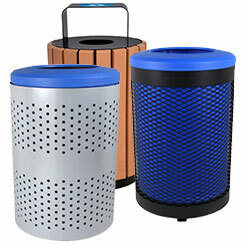 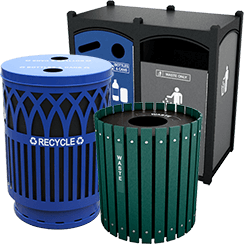 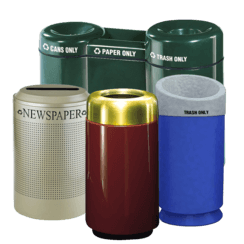 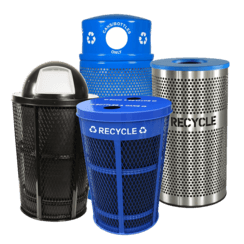 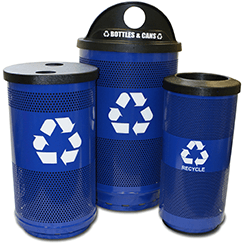 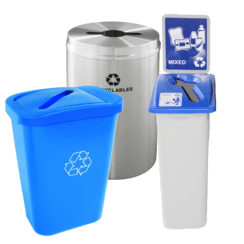 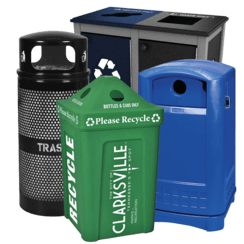 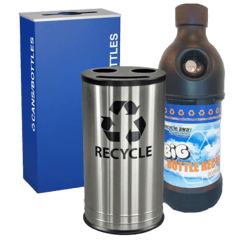 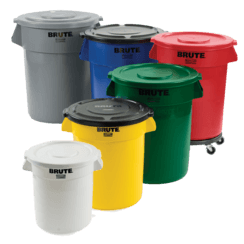 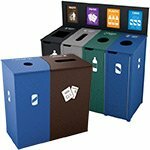 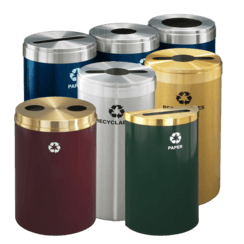 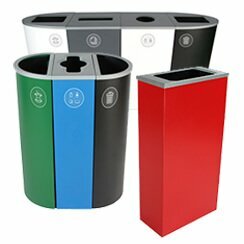 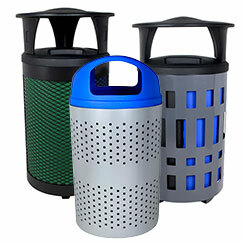 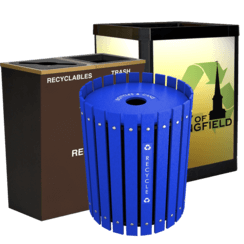 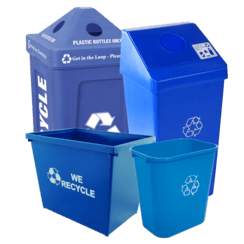 Each recycling station is totally customizable with options for colors, and restricted openings that match your recycling program requirements. 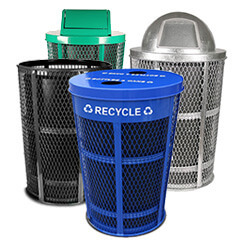 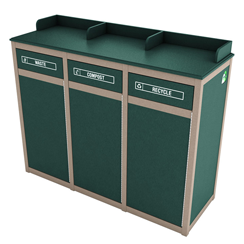 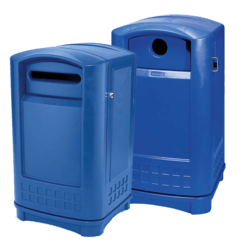 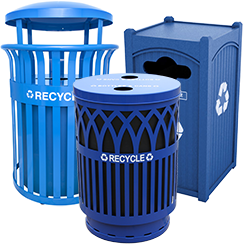 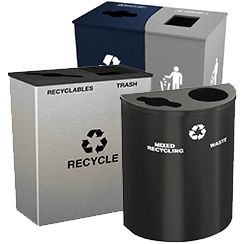 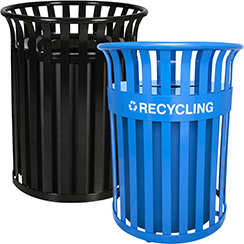 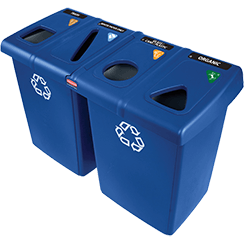 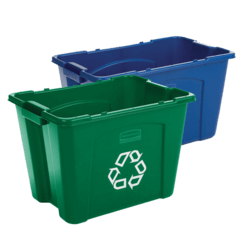 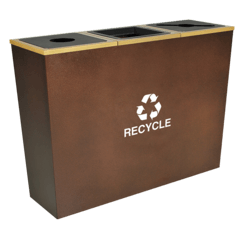 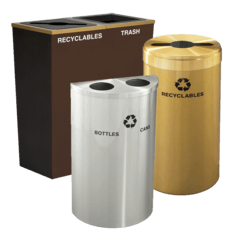 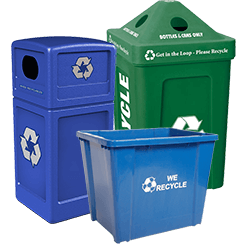 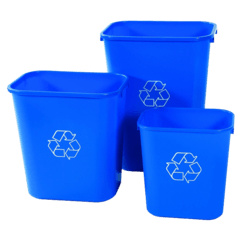 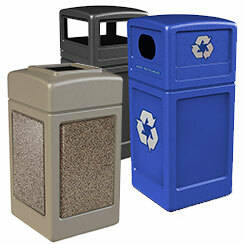 To minimize your environmental footprint, Recycle Away's Sustainability Series recycling stations are manufactured from high-grade plastic lumber made from recycled milk jugs. 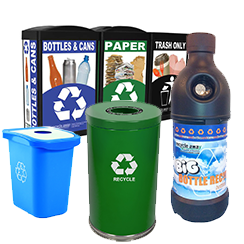 Restrictive openings to accommodate multiple material streams, including Cans/Bottles, Paper and Organic material, Waste, etc. 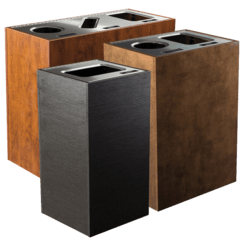 The lumber wont absorb moisture, rot, or harbor insects. 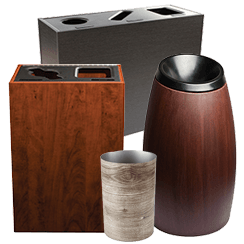 It offers many of the characteristics of wood but requires virtually no maintenance!